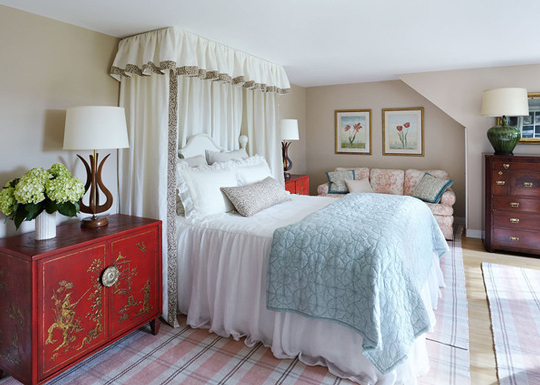 I think every designer I've worked for has shaped my design preferences a bit, and there's no doubt Amanda has encouraged me to be more bold in every facet of creating an interior. 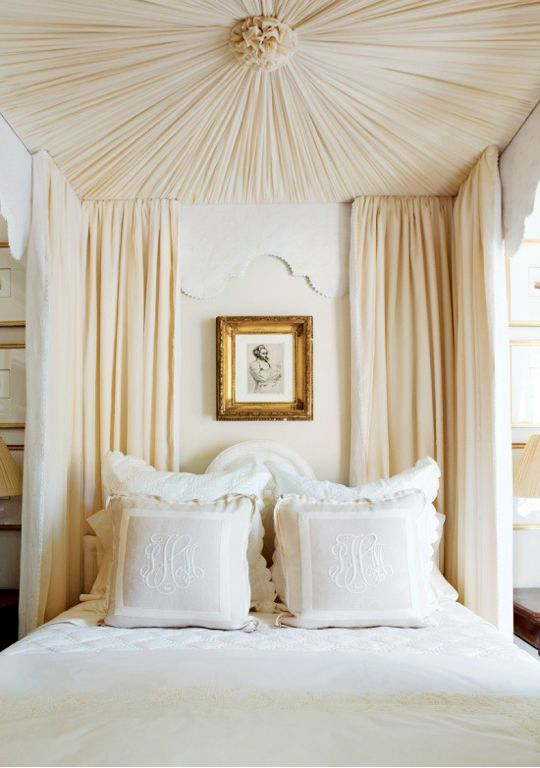 The dramatic bedhanging she created here provides a cozy focal point for her bedroom. I'm dying to add a bedhanging above my own headboard, despite the fact that I live in a rental. 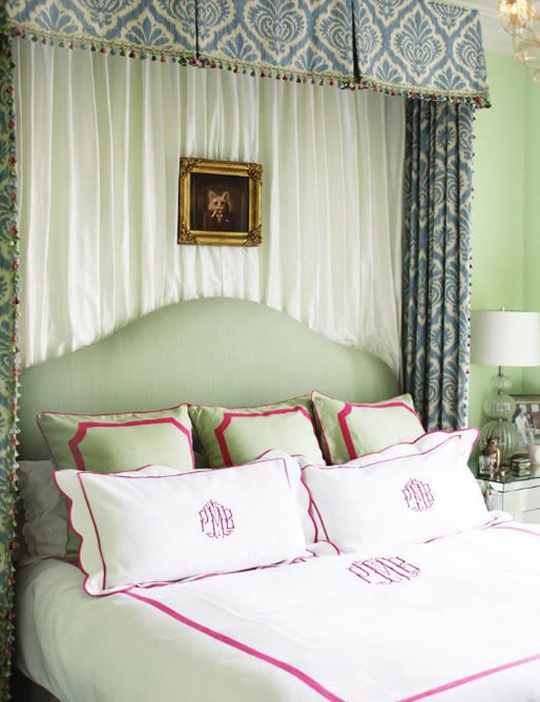 The fabrics would add a pretty, dramatic touch to my small bedroom. 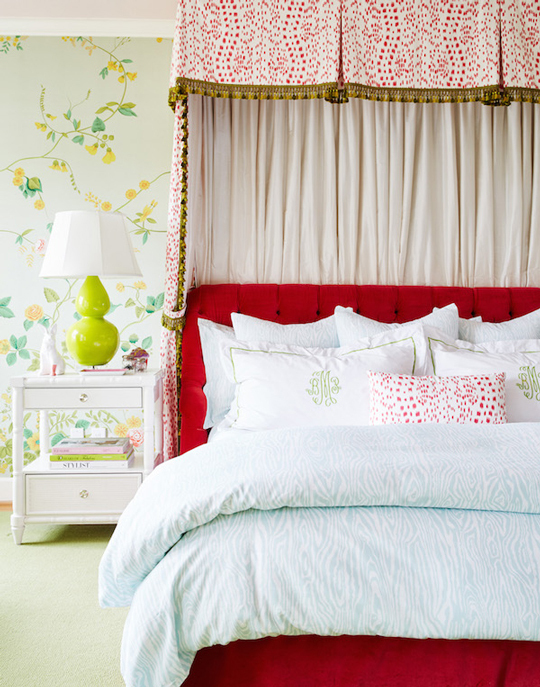 Are you a fan of canopy beds and bedhangings? I love canopies! I've wanted one ever since I was little and still would love to add one to my bedroom. They create such a cozy, nest-like feeling.